This morning, Barnaby Joyce simultaneously apologised for the hurt he caused and promised to carry on. Oh dear. With every step towards the microphone, the collective din subsides. Reporters shuffle and scutter in the gallery, their camera flashes casting garish shadows across the room like lightning portending a storm. Don’t let them see you shake, nerves are a sign of guilt. Sweaty beads trace the crevices of your forehead before sliding onto the floor below. Gripping the wooden lectern, tight, you utter a silent prayer before opening your mouth to speak. …And so begins the latest update on our Deputy Prime Minister’s nightmarish week, where his relationship with former staffer Vikki Campion (expecting this April) was publicly exposed. Barnaby Joyce issued an apologetic statement this morning addressed to his family and electorate. This public address comes at a time where Labor questions how justifiable it is for Barnaby to continue his position in the Cabinet. Sam Dastyari, the recently embattled “Chinese agent of influence“, also weighed in on the Scandal this morning claiming he “had left his job for a lesser political crime” and calling on Joyce to quit. Joyce’s emotive speech, however, failed to quell such opposition and quieten speculation of how much Malcolm Turnbull knew of the relationship which allegedly breached section 2.23 of “The Code”. The entirety of the scandal clashes with the US Government’s unanimous vote to ban sexual relationships between lawmakers and staffers. 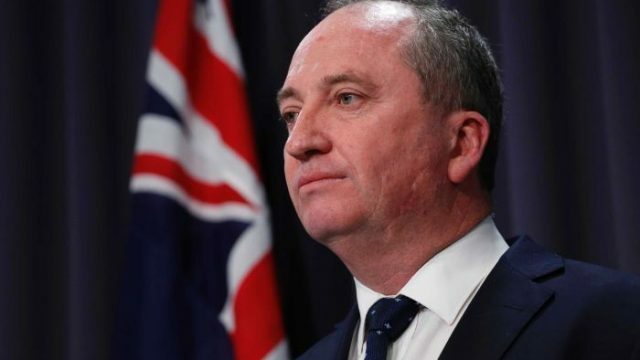 Despite this, it is still not known whether Joyce’s dirty-laundry will sully his political career, cut short his days as Deputy PM, or remove him from office entirely. Under all existing laws, he’s legally fine, if morally questionable. The time for falling on swords is quickly shifting to the rear-view. He’s apologised, adding his voice to the narrative, but we’re no clearer. Unfortunately, we’re kept by the same truism as yesterday. Josie Jakovac is studying B Commerce (Dalyell Scholars)/B Laws at the University of Sydney. With a big mouth, a passion for people and a love for current affairs, she’s never one to shy away from a lively debate. When she’s not sipping coffee, mulling over textbooks and rapidly typing up her next article, you’ll find her beach-hopping and making music.